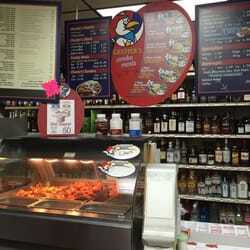 Wazz's is a Chester's Chicken Franchise offering bone-in chicken and tenders along with delicious side dishes. Available daily from 11AM - 7PM. We offer 16" and 12" pizzas, specialty pizzas, and deep dish pizzas, and hot and cold subs (along with other various food items). Fresh baked pizzas are available daily from 11AM - 10PM.